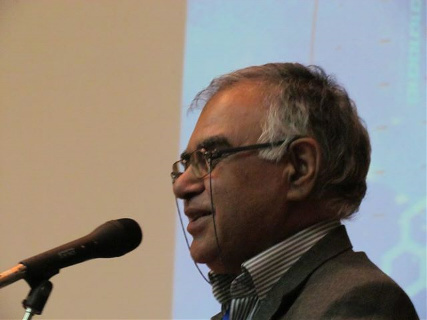 The first mathematician selected by the Festival of Iranian Prominent Figures, Professor Mehdi Radjabalipour is a fellow of the Iranian Academy of Sciences. He was born on June 6, 1945 in Kerman, Iran. Professor Radjabalipour earned his Ph.D. from the University of Toronto, Canada, in 1973. His research includes such diverse areas of mathematics as linear algebra, functional analysis, operator theory, Fourier analysis, wavelet theory and mathematics education. He is best known for his achievements in the fields of linear algebra and operator theory, and is universally recognized as a linear algebraist. Professor Radjabalipour has supervised more than 24 Master and 15 Ph.D. students. After retirement in March 2007, he joined the Islamic Azad University of Kerman as a professor of mathematics.